Posted in Consciousness, Creativity, Culture, Psychedelics, Terence McKenna (mp3). Love listening to the PS podcasts!! I listen to them at work and they have been intstrumental in the incredible changes I am making in my life. Thank you for all the work you do. Hoping to see you at 2014 Burning Man as it will be my first year going. The only reason I have not emailed you is because you won’t accept common email. Happy New years! I still think I am your still you biggest fan! Keep the podcast going! I loved the Joe Rogan podcast you did! Awesome! I´ve been into this since day 1, but never commented anything. Now i thought instead of just taking it for granted, why not throw my thoughts out here. Arounds these times i also had my first +5 experiences. But now after few years and after reading The brotherhood of the screaming abyss it made me understand so many things so much better and now i enjoy even more of both Mckenna´s work. I´ve learned to love the little things and not the big theories necessaraly. There always something new to pick up from a TM lecture. Well anyway theres just my evolution with mckenna and i also want to give props to you. After listening to your book and few lectures i think also you have really delicate and heart warming and respectful way of dancing around these topics. Its just great stuff. Lorenzo. It’s okay. 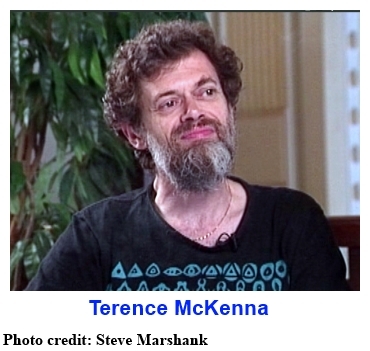 Please rename the “Psychedelic Salon” the “Terence McKenna Salon”. Really. It’s okay. Lorenzo! This is the place for McKenna. Best place on the net. I send people here all the time. Have a wonderful New Year and I look forward to every post you make. I was thinking the other day how nice it would be to have a Jonathan Ott talk. I treasure the ones you’ve already posted. And I’ve scoured the net for anything I could digitize and send but there just aren’t any others that I’ve found. I’m sure you know Jonathan and maybe you could pull some strings to get something that we may not have heard yet? He must have some recording somewhere to offer our hungry minds. the difference between reading a book on paper or on a kindle. A joint delivers the full spectrum of components. A vape is more like an isolated active ingredient ala western medicine. On paper a book is connected to historical biological information transferal, on a tablet the information is absorbed in the mind with the brain in the domain of ciphering,rather than imagining. But the way you get into a void is pretty nice. But it’s impossible to say whether you did an effort to get there. The thoughts which appear to the Void is the Void but unfunctioning voids are there too so it can’t be a matter of feeling…. Which is the thing I’d likee to argue in the Void you know about the explanation of the Void in which people assumably had some of the feelings McKenna was trying to prove for. There were no feelings or discrimination of those feelings. The people had not invented them. It is pretty much a waste of intelligence to give a group descriptive to the descriptions in the past. Because the group… Inventions of McKenna as to describe or as some of the corky listeners might perceive -bring a set of Daimonix influences to his life column of something being learned from a outer source at the time- weren’t educational. The guy who talked about the temple might have been right. And projektion of a comparison based contextually even constructed time for some of food. Onw more. The story about the Tim Learys i had forgotten it thing. So that the more important message is easier but is followed by something whixh evades purpose but why McKenna gets back to it is un certain. But the guy that was the answer you know like what about question: can’t get back stuff or somethinğ. Like McKenna didn’t remember what he had said on another tape. But the future is like he didn’t say he was rright. The words fail and so on. I don’t think so. After many years leaching off of your services, I finally sent you a donation. I still owed you for that one time. This gentlemen just never ceases to amaze me. Keep them coming Lorenzo. Thanks to you our worldviews get a few much needed psychedelic spanks each time. i salute you! 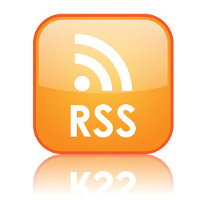 Thanks Lorenzo for another great podcast. They are much appreciated.